An instructor in the Department of Ethnic Studies, Alaí Reyes-Santos is recognized for her excellence in teaching and curricular innovations. 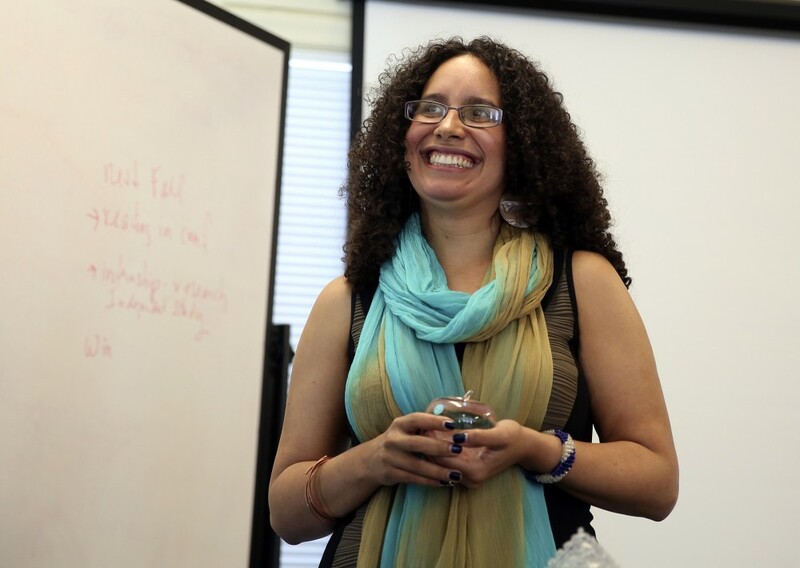 Reyes-Santos created the curriculum for Caribbean Ethnic Studies, transformed the specialization in transnational critical ethnic studies, and brought in collaborative partners from Latin American Studies and African Diaspora Studies. Reyes-Santos’ classes are, in the words of one colleague, “an example of student-centered learning at its best.” Students gravitate toward Reyes-Santos because they appreciate the supportive, enthusiastic way she pushes them to learn. In recognition of her excellence in teaching, Alai Reyes-Santos is the recipient of the 2015 Ersted Award for Distinguished Teaching.